. 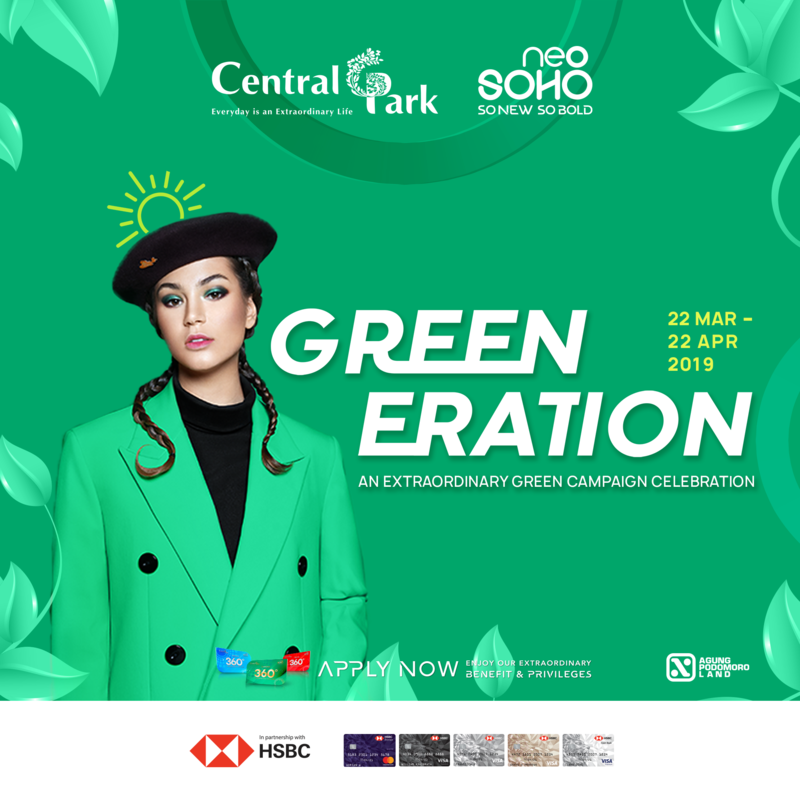 • EARTH HOUR 60+ SWITCH OFF IN COLABORATION WITH HUSH PUPPIES 30 Mar 2019 @Tribeca Park | 8.30 PM An Extraordinary Green Movement ! Special Performance by : Elephant Kind and Talkshow with Plastic Hacker Club Let’s Change and Take Action ! @ Tribeca Park | 4 PM – 6 PM Reduce, Reuse and Recycle ! Come and join us on FREE UPCYCLING DEMO with Kerta Bumi. Bring your own plastic bag and let’s turn it into an extraordinary recycle stuff. Eat Healthy and Win the Prizes! Also get a FREE Stainless Straw package (Limited to the first 50 customers) only on March, 30 2019 Let’s Change and Take Action! • STRAW WARS INSTALLATION 22 Mar – 22 Apr 2019 @Tribeca Park Use more than 15.000 used plastic straws for the Straw Wars Installation. Stop using plastic straws can make you a better human and save the earth. Let’s Change and Take Action ! @ Tribeca Park | 1 PM Come and join us on Photography Competition with Royal Enfield Indonesia and Doddling Session with Kerta Bumi. Let’s Change and Take Action !